Janet loves putting together special occasions and when she has a chance to celebrate a friends milestone birthday she goes all out. This was a fabulous dinner on the farm at Fernbrook Farms also featured a tour of the farm on a tractor and some fun yard games at the field house. 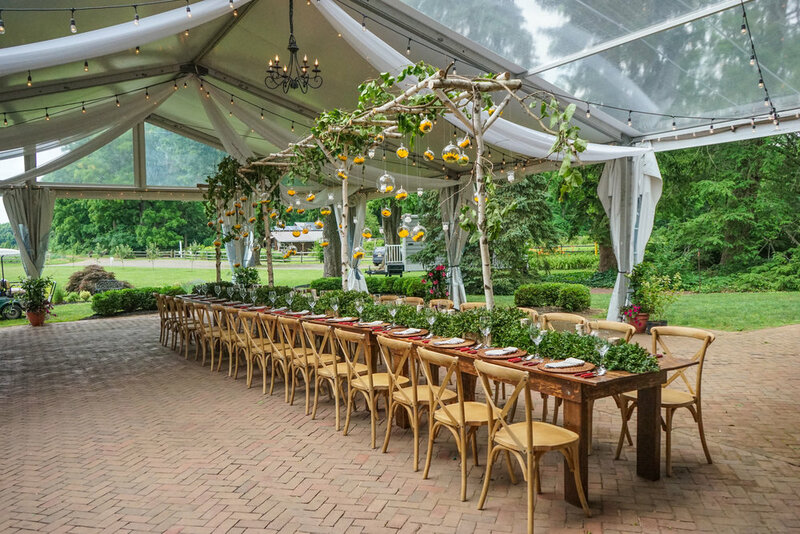 Of course the amazing birch trellis with boxwood and sunflower accents really got the party going.